Revolution Twist Pile Lounge Carpet in Beaver Brown (92). Lounge carpets with an 11mm depth and a soft twist pile.Available in 13 colours. Stain resistant and hardwearing carpets for your home. Revolution twist pile lounge carpet. A warm and soft twist pile carpet with a hessian backing. Perfect for lounges and bedrooms. Use our handy price calculator to work out the cost of your new lounge carpet. Buy Lounge carpets online with carpet suppliers Abbey carpets. We have added a helpful price calculator to help you work out the cost of your new Carpet. Simply enter the length of your room to the nearest half meter, remembering to add at least 4-5cm and let our handy calculator work out the cost. *Please note that picture is for illustration purposes only and colour may vary due to monitor settings. If you are unsure please use our free sample service before ordering. Carpets thresholds for joining carpet to carpet at doorways. 36" Aluminium or Brass effect threshold double plates. Thermalay Insulating PU Foam Underlay for carpets to bring added comfort underfoot. 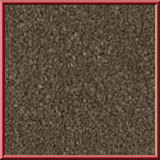 Made with Recycled materials, this PU foam carpet underlay is one of the best quality for an affordable low price. Sigle carpet threshold naplock, suitable for finishing carpet to vinyl. 35" Aluminium or Brass effect threshold single door finishing plates.